WESTBROOK – Joan E. Porter (Beck), of Westbrook, formerly a lifelong resident of Ticonderoga, NY, passed away on November 6, 2018 after a long struggle with Dementia and Alzheimer’s at Springbrook Center. Joan was born on May 24, 1934 in Ticonderoga, NY to Willard (Frank) Beck and Cleo Beck (Gonyea). Joan worked at International Paper Company in Ticonderoga, NY for 36 years, where she made many friends. Once retired, she volunteered at the Moses Ludington Hospital gift shop for 10 years. She was also an Elks member. During the holidays, she volunteered as a “bell ringer” for the Salvation Army. Joan was a devoted member of St. Mary’s Catholic Church where she attended weekly mass, until the past year due to her illness. 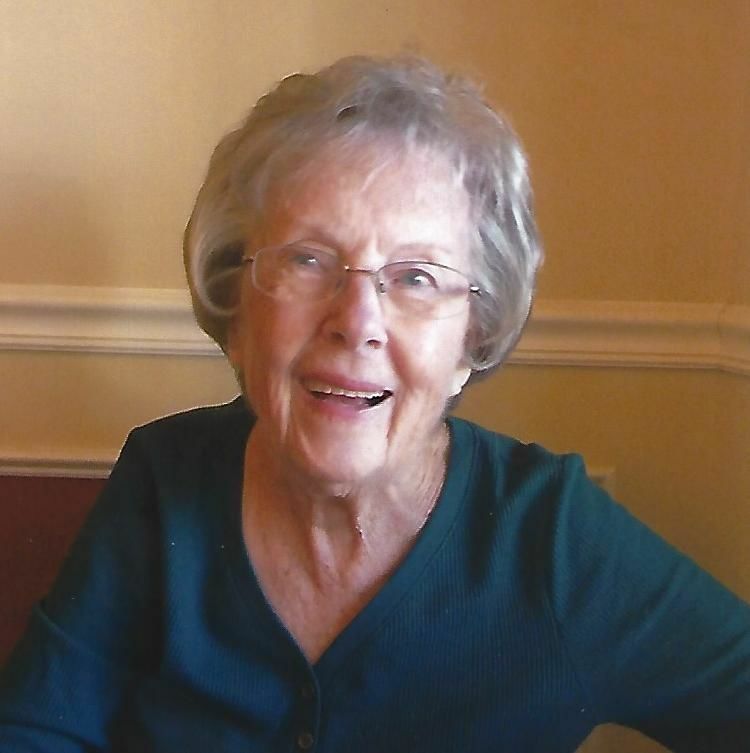 She enjoyed gardening, cooking, entertaining family and friends, bowling, reading, dining out, and in her younger years, she loved ice skating. An avid cat lover; her kitty, Misty, will miss her greatly. Joan is survived by her husband of 66 ½ years, John (Morton) Porter. They shared a love like no other. Together they enjoyed boating and camping on Lake George with family, snow mobiling with friends, golfing and vacationing in Myrtle Beach, Florida, Ogunquit, ME, Las Vegas, New Orleans and Branson, MO. Joan was pre-deceased by her parents, Frank and Cleo Beck of Ticonderoga, NY. She is survived by her son Robert J. Porter of Davenport, FL (spouse Linda), her daughter Joann Nappi of Westbrook, ME (spouse Russell), stepsons John E. Porter (spouse Laura) of Cambridge, NY and Jerry E. Porter of Rutland, VT, brother Robert Beck of Ticonderoga, NY and sister Sandra Hurlburt of Euclid, OH. Grandchildren Stephanie Kennedy, Stephen Porter, Elise Margate and John Hamel; along with six great grandchildren. A special thank you to the staff at Springbrook for their gentle care, compassion and love. At the family’s request, there will be no services at this time. A celebration of her life will be soon. Interment will be at Mt. Hope cemetery in Ticonderoga, NY later. Donations may be made to the Alzheimer’s Association in lieu of flowers.